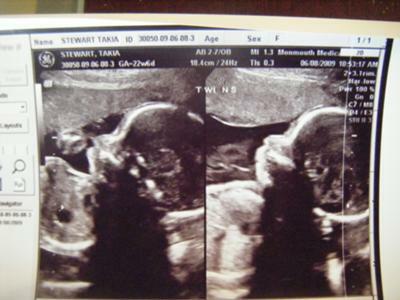 These are the girls side by side profile ultrasounds at 22 weeks 6 days! I am having twin girls also. At my 20 week u/s one of the babies heads looks bigger than the other and I have been obsessing about it and worried. Her head looks like the pic of your girls heads. Have you had your babies yet and is everything ok?